All types of packing and packaging are available from paper and bubble wrap through to customer specific options such as foam, plastic and bespoke wooden crates. Final assembly work is offered. Typically this involves operations such as inserting rubber grommets and sleeves, labeling and simple fixtures. We also undertake kitting where required. 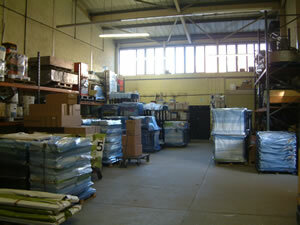 Our factory offers large storage capacity suited for short to medium term storage of items. This allows us to offer KanBan support.